It’s not smart to boost short-term mental performance at the expense of long-range brain health. Enter Performance Lab Mind – a clean nootropic stack made to both charge-up brainpower and recharge your brain afterwards. The result: Improved performance-oriented brain functions, faster bounce-back from cognitive exertion, and structural support for memory, learning and long-range brain health. Let’s find out more in this Performance Lab Mind review. Brain booster balance. Made to enhance performance-critical cognitive functions so you can crush it, and then restores the brain so you can function the next day without crashing or burnout. Great for high-intensity thinking. Strong nootropic support for sharp cognition through stress, multitasking, and chaos; also helps replenish stress-depleted brain chemicals for what they call mental recovery. Cognizin® Citicoline and Sharp-PS® Green. 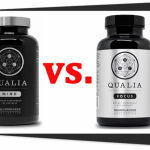 Two of the best nootropics for brain health and mental performance, presented as two of the best branded forms on the market. Other Ingredients: Plantcaps® Pullulan Capsule, NuFlow® Rice Concentrate. results use daily and consistently. 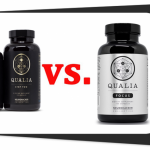 Brainpower, brain health and mental recovery in one stack. Performance Lab Mind is a clean nootropic stack with a clearly defined goal. Specifically, Performance Lab Mind is designed for competitive, high-performance thinking – things like energy, alertness, focus, concentration and memory. What really sets this formula apart, however, is that it pays equal attention to the flipside of peak mental performance – because it also helps with the “cognitive crash” effects that can follow intense . More than any other single nootropic, Cognizin® Citicoline boosts both brain performance and brain health at the same time. In terms of tangible mental performance benefits, Cognizin® Citicoline is best known for raising mental energy without stimulants (and their crashes). Research has shown that Cognizin® Citicoline may boost brain energy by 13.6% and brain regeneration by 26%. 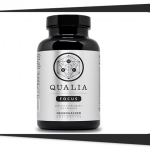 Cognizin Citicoline has many research backed mental performance benefits, including this study showing benefits for brain energy and regeneration. Citicoline’s brain-energizing and regenerative benefits are why it is the best nootropic: It helps with both cognitive performance and brain health. The Cognizin® form of Citicoline found in Performance Lab Mind is the best form to look for in brain supplements: It is backed by human clinical research showing benefits for attention, focus, memory, mental energy and other performance-oriented cognitive functions. PS is a healthy fat nootropic used to make (and repair) brain cell membranes. 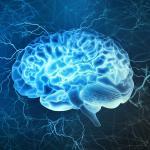 It has a lot of research behind it, mostly for supporting brain health over the long haul. In terms of benefits you can feel, phosphatidylserine is the most effective, research-backed nootropic for memory enhancement — helping with both short-term recall and longer range memory. Sharp PS® Green in Performance Lab Mind is a good form of phosphatidylserine. It’s made from sunflower (many other PS supplements are made from soy). L-Tyrosine — especially as N-Aceytl L-Tyrosine — is a nootropic that belongs in every performance-driven brain supplement. Why? 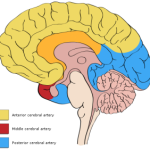 Modern factors — distractions, multitasking, stress, working too hard – can rapidly deplete the brain of the catecholamines, which are neurotransmitters that power performance-oriented thinking. L-Tyrosine serves as the master building block for creating fresh new catecholamine neurotransmitters. In other words, if you have a hectic, mentally demanding lifestyle, L-Tyrosine keeps your brain fueled with brain chemicals it needs to perform at the highest level. Human research shows Tyrosine helps improve performance-driven thinking — attention, focus, mental processing, and multitasking — during stressful scenarios such as (literally) being exposed to deafening noises, submerged in cold water, combat training, sleep deprivation and more. The above benefits are great for overall brain health. But Maritime Pine bark extract also seems to be a short-range cognitive enhancer, too: early research suggests it improves attention. Since it is 4 ingredients only, Performance Lab Mind can hit good dosages of each one, so it is potent across the board. And, its potency is bumped up a bit more because the formula uses advanced nootropic forms. Performance Lab Mind is strong for short-range brainpower. But careful attention to brain health and mental recovery is what really sets it apart. This formula doesn’t just supercharge the brain for intense thinking, it helps the brain to bounce back faster and more completely from mental exertion. Performance Lab Mind is the first nootropic stack that we seen with a mental recovery benefit – making it a good nootropic design for the times. Performance Lab Mind can be taken by anyone. It may be especially good for driven people who depend on peak cognitive function to excel every day, especially in challenging conditions, during stress, while multitasking, on insufficient sleep, etc. This could be students, professionals, athletes, competitive types, and anyone who likes a sharp mental edge. Science-minded supplement consumers will gravitate to Performance Lab Mind too, due to its research-backed ingredients, clinical design, and clean label. Performance Lab Mind cognitive benefits start with a clean boost of mental energy and extends to enhance various measures of performance-oriented thinking, such as focus, concentration, and attention. It also benefits various aspects of memory, including quick short-term recall, new learning, and long-range memory. Side effects are unlikely with Performance Lab Mind. It is only 4 ingredients, all of which are backed by research and presented in high-quality forms. Plus, it has no stimulants, no GMO’s, no banned substances, no synthetic colorants, no weird additives. Finally, Performance Lab Mind’s mental recovery design helps to eliminate the cognitive crash side effects associated with some harsh nootropics. Designed for performance. Boosts difference-maker cognitive functions you need to excel: Attention, learning, memory, concentration and mental energy. Mental recovery. An unusual but valuable feature, natural support to help your brain bounce back stronger, even when you push it to the max. Clean label. Just 100% vegan plant capsules made from natural pullulan, free of preservatives, additives, colors, and other unnecessary nonsense. Stim-Free. Research backed benefits for brain energy at a cellular level, for a cleaner, healthier and more clear-minded lift then stimulants. Single capsule serving. Just one capsule is all you need, making it super easy to take – even if you are doubling up for more pronounce cognitive benefits. It doesn’t do everything. Does not address aspects of cognition like creativity and relaxation – but then again, that’s not the point of this formula. Not available in stores like GNC. It’s not for sale at Amazon, either. If you want this supplement, you have to go to the Performance Lab website. 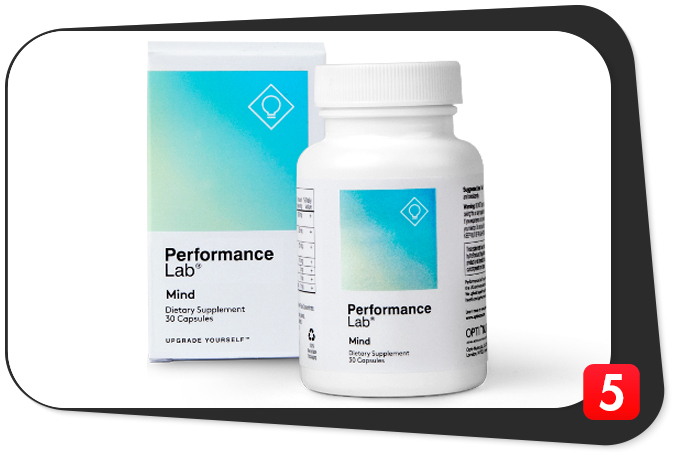 Performance Lab Mind is four strong, research-backed brain boosters that target the most performance-oriented cognitive functions, priming the brain for peak performance under pressure. With its additional unique blend of mental recovery and brain support in a “clean label” supplement, Performance Lab Mind is now emerging as a top nootropic stack — especially for people who have intense brainpower demands.